As an island destination, Jamaica is the perfect place for watersports enthusiasts, specifically diving enthusiasts. The warm Caribbean waters are ideal for spending hours exploring. If you want to learn to scuba dive in Jamaica then you can do so with a stay at Couples Resorts. At Couples Resorts, all of our scuba instructors are licensed. There is nothing they love more than exploring the underwater world with our guests. 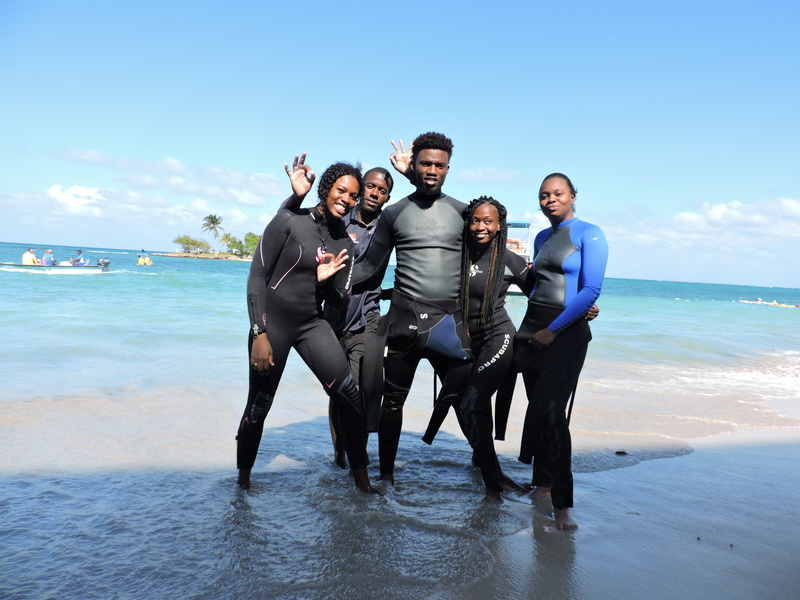 Friendly and knowledgeable, our certified PADI instructors will ensure that your dives are safe and enjoyable. Our scuba dive programme is exceptional and caters to both certified and uncertified divers. Certified divers can enjoy a complimentary PADI dive once per day. Uncertified divers can look forward to participating in a complimentary course and one complimentary introductory dive. Every dive at Couples Resorts is customised to allow guests to get up close and personal with sea life. Those who are new to it all can obtain their PADI certificate during their stay for an additional cost. Now that’s what you call a holiday memento! More experienced certified divers can upskill at Couples Resorts for an additional cost by taking part in an Advanced Diving Course with our instructors. It is little wonder why the Caribbean is known as a diver’s paradise. The warm azure waters surround Couples Resorts offer a wealth of underwater adventures. Along with our experienced instructors, you can look forward to exploring a host of mesmerising Jamaican reefs. These include ‘Coral Garden’, ‘Shark Reef’ and ‘Fantasy Reef’. Made up of tunnels and caves, these reefs are home to colourful coral formations which are truly enchanting. 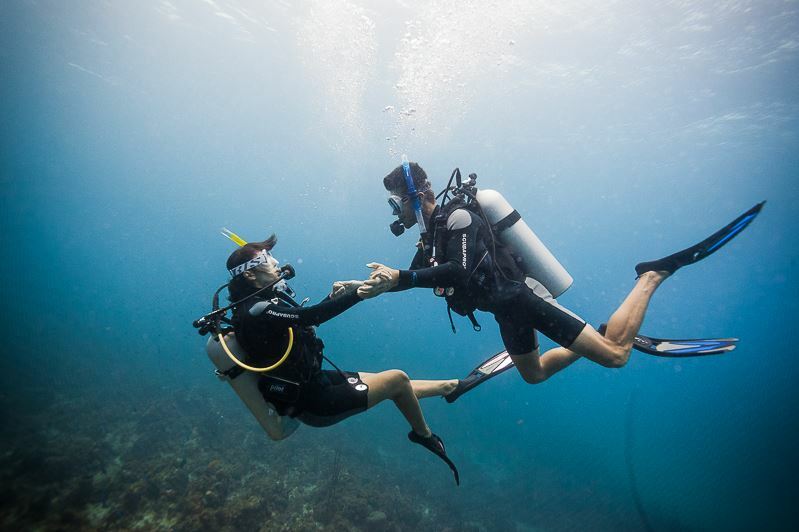 Scuba dives are the perfect way to meet new friends. And what better friends are there than dolphins, sea turtles and barracudas? Take part in a night dive and you may even be lucky enough see stingray, octopi or spotted drum fish. If you don’t want to learn to scuba dive in Jamaica, but want to enjoy the water, then Couples Resorts have more than enough for you to do. Watersports on offer include kayaking, paddle boarding and snorkelling. Learn more in this blog. Did you learn to scuba dive in Jamaica? Tweet us @couplesuk and let us know!